Lorella Muzi is into the Website Design & Development industry since 1999, working mostly for European companies and institutions. Lorella’s social skills and studies are the keys to business planning, sales and marketing, and communication. Her command over English, Italian, French & Japanese makes it a great resource for any team. 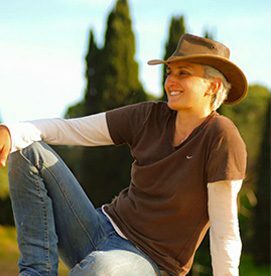 She is a top-rated Italian Line Producer for foreign TV productions such as National Geographic, CBS, ESPN, Discovery Channel, and CGTN. As an experienced digital marketing professional now she likes to travel for work and loves to ride horses when she is not busy with deadlines. Lorella is the European partner for Digital Concepts and is a ring of connections between cultures and languages.